PS This photo is me pretending to hit a golf ball in hubby’s mouth. Of course, I did not really try it, but the pose is so much fun for family photo albums. You might want to try this yourself. We also did it with him hitting the ball out of my mouth. The grandchildren especially love those pics! 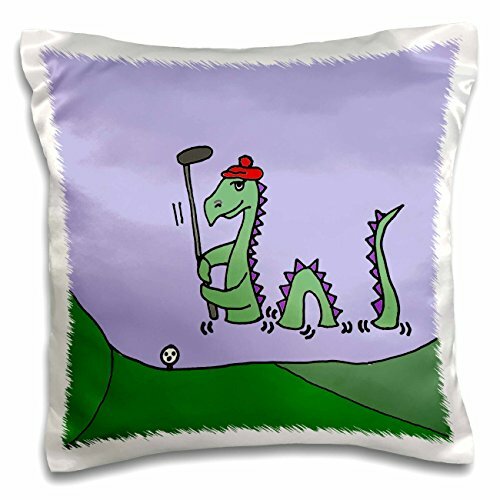 I enjoy designing funny golf balls for my husband on Zazzle. 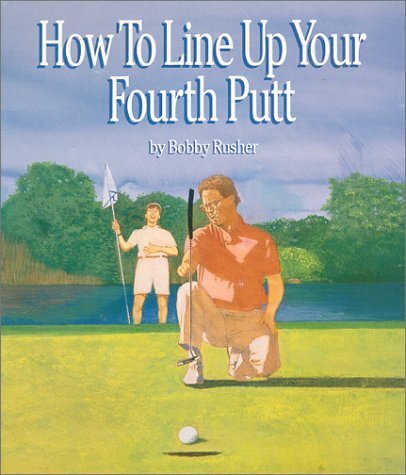 You can use my words or change the words to suit your golfer. Or you can personalize with his name. It’s really easy and fun to do. Would you want his golf balls to say, “Empty the Trash” or “Bring home a loaf of bread” or some other personal message from you? 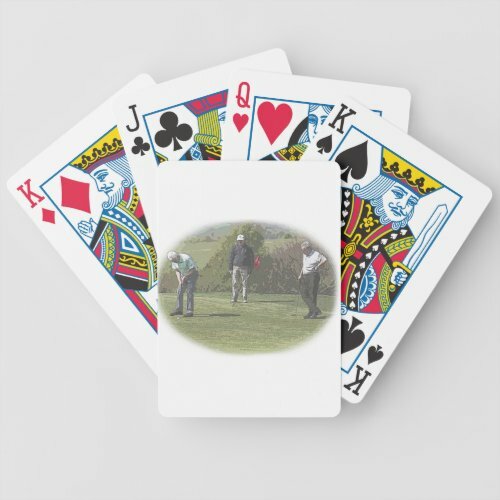 You can make it happen on Zazzle. 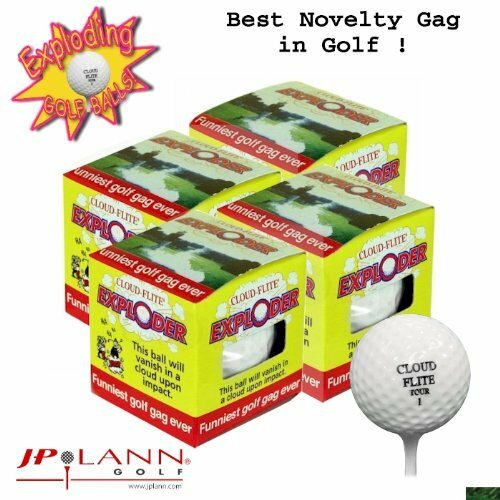 Just click on one of these golf balls to purchase or to change to your own words. These are Wilson Ultras, so they are golf balls he will really use. Of course the old standards are always fun – like flat top tees and exploding or farting golf balls. The unputtable one is hilarious too! 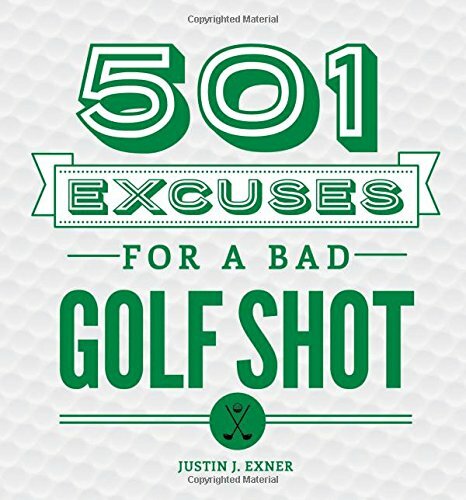 These are all great funny golf gifts for men. I know my husband keeps this kind of thing in his golf bag all the time. 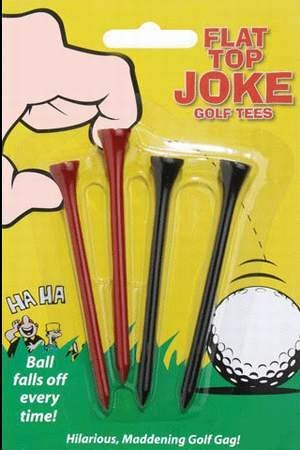 These are funny golf prizes for family golf, too. 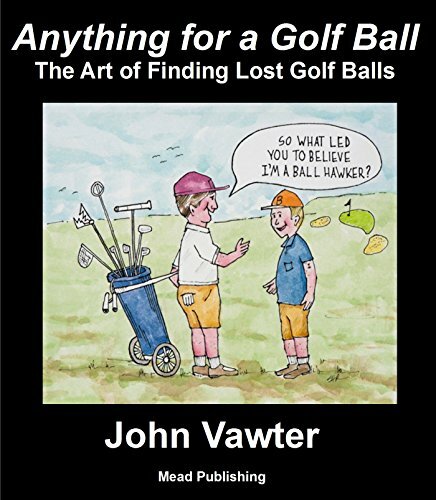 Guys also enjoy having Schwetty Balls Golf Balls in their golf bag. Despite how you feel, he really does not play golf all the time. Sometimes he just wants to tinker around with golf there in the house. 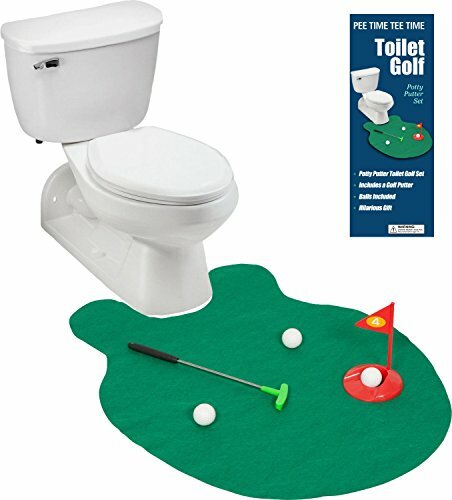 If he has a mancave, these funny golf gifts are great in there! If not, well, let him enjoy his sport at home. Laughter is an important part of any family. And again, any one of these would be funny golf prizes for family reunion events, or family weekend golf. 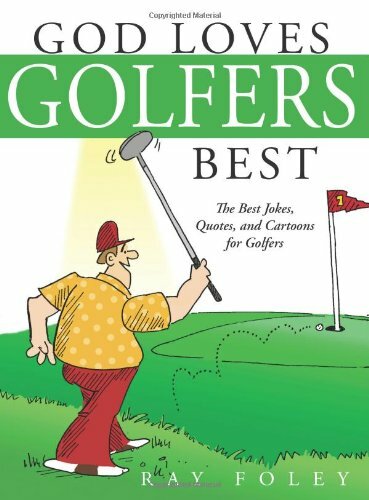 Notice that some of these are funny golf books — those are always great in the family library, even if the library is the bathroom. 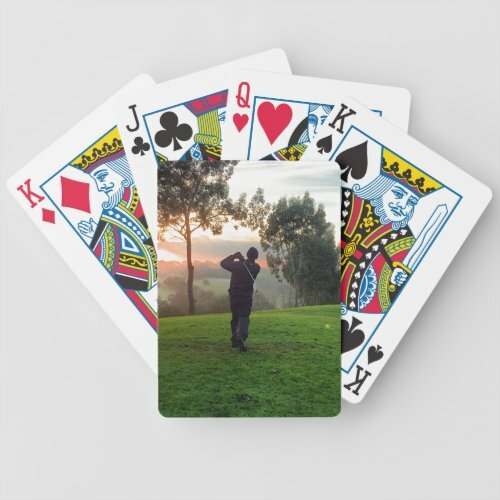 Did you know you can upload your own funny golf photo and put it on a deck of cards? 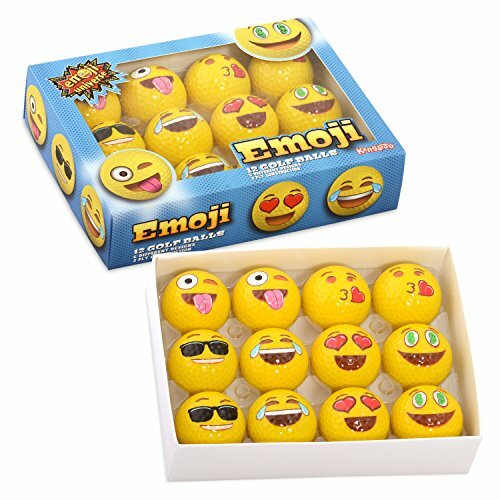 You can do that so easily at Zazzle. Look at these cute ideas for golfers. 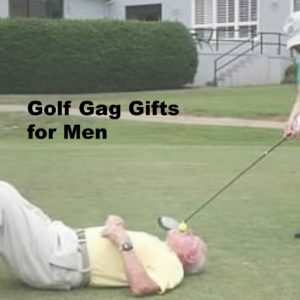 Did you see the picture of me pretending to hit a golf ball out of hubby’s mouth? I think that one has to be on zazzle playing cards this year. 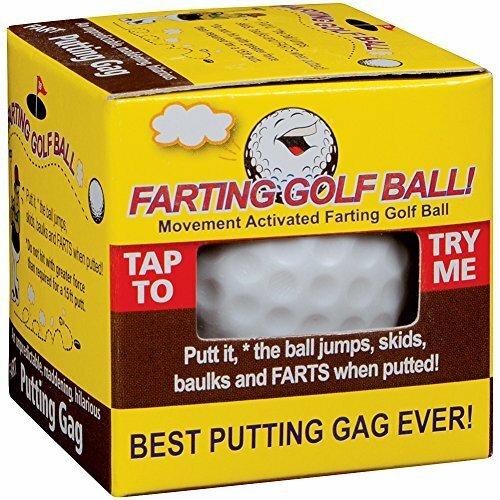 I will continue to search the internet for the best funny golf gifts for men. Please stop by often to see the latest additions.